Conservation of the historic environment is a growth area in the economy. This is a result both of the increasing interest in historic buildings for their own sake and government policies that encourage rehabilitation of building stock and compliance with sustainable energy targets. There is a growing demand, therefore, for those specifying or writing tenders for building refurbishments to have a sound understanding and knowledge of appropriate conservation techniques and approaches. 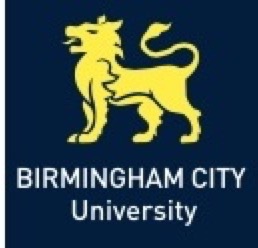 The course will be run by Harriet Devlin MBE who has joined the Birmingham School of Architecture. Harriet was recently conferred with MBE for services to heritage and the environment in the Queen's Birthday Honours List, and brings many years of conservation practice experience and teaching to the centre of Birmingham. This two-year University of Cambridge award is intended as an introduction to the philosophy, history, materials and practice of historic building conservation. It is taught by means of lectures, visits and field trips across East Anglia to view buildings and practitioners at work. Lectures take place at Madingley Hall, a 16thcentury manor house set in seven acres of landscaped gardens designed by Capability Brown. The course is recognised by the Institute of Historic Building Conservation (IHCBC) at foundation level. The tutors are experienced in the many areas of building conservation, and guest lecturers are invited to cover specialist subjects. The evolution of buildings from medieval to modern times runs as a thread through the course and you will receive guidance on identification, recording and development of appropriate conservation strategies. To understand the development of the philosophy and ethics of conservation and the legislation that protects the historic environment. To survey, record and analyse the development of historic buildings through the examination of their materials, construction and style. To learn practical techniques for conservation, repair and restoration, with the opportunity to experience the use of traditional materials. recommended books. Students are expected to carry out their own individual work on projects covered by each part of the course. They are required to keep an up-to-date field notebook. This part-time Master`s degree is an interdisciplinary research-based MSt. It has been designed by the Faculty of Architecture and History of Art in close association with English Heritage, and with the Institute of Continuing Education at Madingley Hall. The MSt is aimed at students from a wide variety of backgrounds who wish to become architectural historians trained in both academic and practical skills of building research and analysis, and assigning value and significance. It will also enable students to situate buildings in their historic area and landscape contexts. The MSt will appeal equally to existing professionals wishing to formalise or extend their acquaintance with historic buildings. Following successful completion of the course you should expect to be fully conversant with effective methods of researching and assessing historic buildings and landscapes, and able to make a significant future contribution to the field. The Churches Conservation Trust (CCT) is the national charity protecting historic churches ‘at risk’. Our Regeneration team delivers imaginative new uses for churches within the care of the CCT and beyond. We have experience across a range of sectors including community regeneration, planning, social enterprise, historic conservation, site interpretation and project management. Our regeneration process is applicable to any context involving the development of sensitive sites. This course is designed primarily for property professionals specialising in or wishing to focus on conservation and heritage management. Examples include architects, architectural technicians, local authority conservation officers, surveyors, chartered builders, English Heritage officers, archaeologists and craftsmen. The College of Estate Management (CEM) has achieved university college title and has become University College of Estate Management (UCEM). 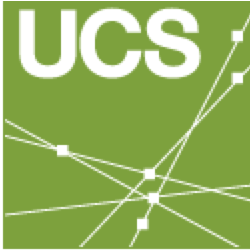 The achievement of university college title acknowledges the college’s status in its provision of offering online vocational education for the Built Environment industry. Docomomo UK campaigns to raise awareness of the ideas and heritage of modern movement buildings, landscape and urban design, and we work to conserve significant works from this period. We organize regular events that examine the history of the period and conservation issues related to protecting modern buildings. A series of lectures covering a number of conservation issues, offering an opportunity to learn more about, and debate, philosophical, practical, legislative and technical matters. The highly regarded Architectural Conservation programme at Edinburgh College of Art is over forty years old - the longest established architectural conservation course in the UK. The multi-disciplinary programme draws in postgraduate students from a wide range of backgrounds. The teaching combines the academic skills of international conservation scholarship and research with strong practical links to government and voluntary heritage bodies - all within the stimulating environment of a thriving school of architecture. 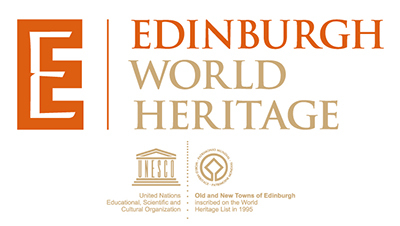 Edinburgh World Heritage is an independent charity that aims to ensure the city’s World Heritage status benefits everyone. We want to connect people to their heritage in everything we do – through the conservation of historic buildings, delivering improvements to public places, or engaging people directly through education. We offer a number of CPD events throughout the year; see the website for more details. The Environment Study Centre (ESC), improves skills and knowledge through training and education and is the only organisation training individuals to obtain a recognised qualification in energy efficiency and retrofit of traditional and historic buildings. It is the most credible organisation in the delivery of retrofit training with a track record in research and qualification development. 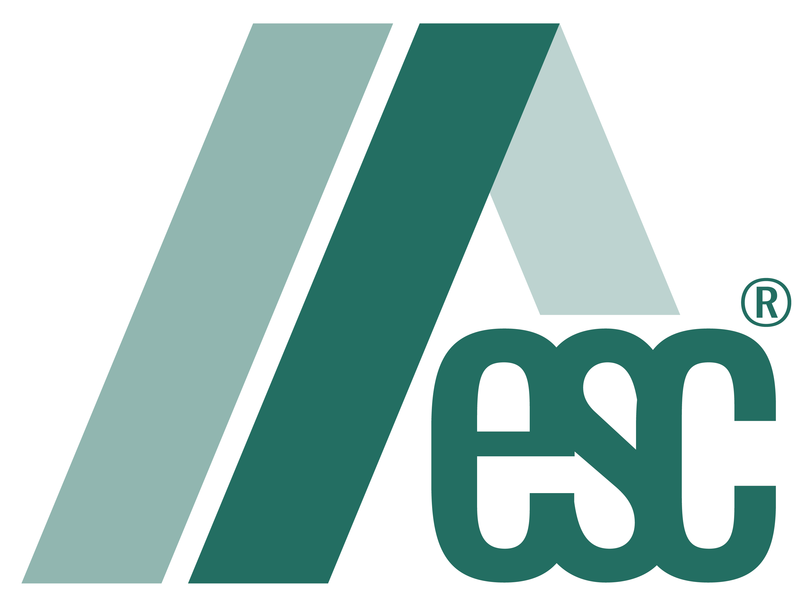 ESC has delivered retrofit training in partnership with a range of organisations including CITB, the FMB and the National Trust. In the past three years hundreds have achieved this qualification. Glasgow City Heritage Trust is an independent charity supported by Glasgow City Council and Historic Environment Scotland. Established in 2007, we champion the city’s unique architecture and built environment and promote and encourage the understanding, appreciation and conservation of Glasgow’s historic buildings for the benefit of the city’s communities and its visitors, now and in the future. Heritage Craft Alliance is an accredited training and assessment provider dedicated to our built heritage. Our center is based on the Thorp Perrow Estate, Bedale in the heart of North Yorkshire. From here we deliver historic building conservation and traditional building skills training and assessment to support all aspects of heritage work in the historic built environment. Our Centre offers a wide range of course type and levels offering craftspeople, conservationists, supervisors & managers the opportunity to gain skills with us here or through Onsite Assessment and Training (OSAT) to suit each candidate. Improve your skills with a range of courses in masonry, lime mortars & plasters, brickwork, conservation/restoration techniques, roof slating & tiling and traditional carpentry. All of our courses are overseen by a fantastic team of renowned tutors and craftspeople who are experts within their chosen fields. Bespoke courses can also be developed to suit your needs plus we have onsite accommodation to cater for those who may need to travel. 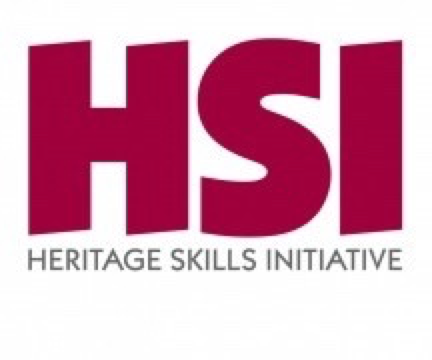 The Heritage Skills Initiative was set up to promote and raise awareness of heritage skills and subsequently provide practical opportunities for training and hands on opportunities. All courses and events are recognised by the IHBC as providing the CPD requirements of a full member, and the training courses may provide evidence towards the new NVQ3 in Heritage Skills and CSCS heritage cards. 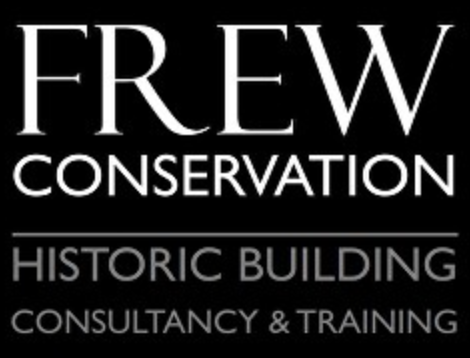 Frew Conservation deliver a wide range of bespoke training, education and events in the historic built environment. We deliver historic building conservation and traditional building skills training, working in partnership with a great team of respected craftspeople and consultants. 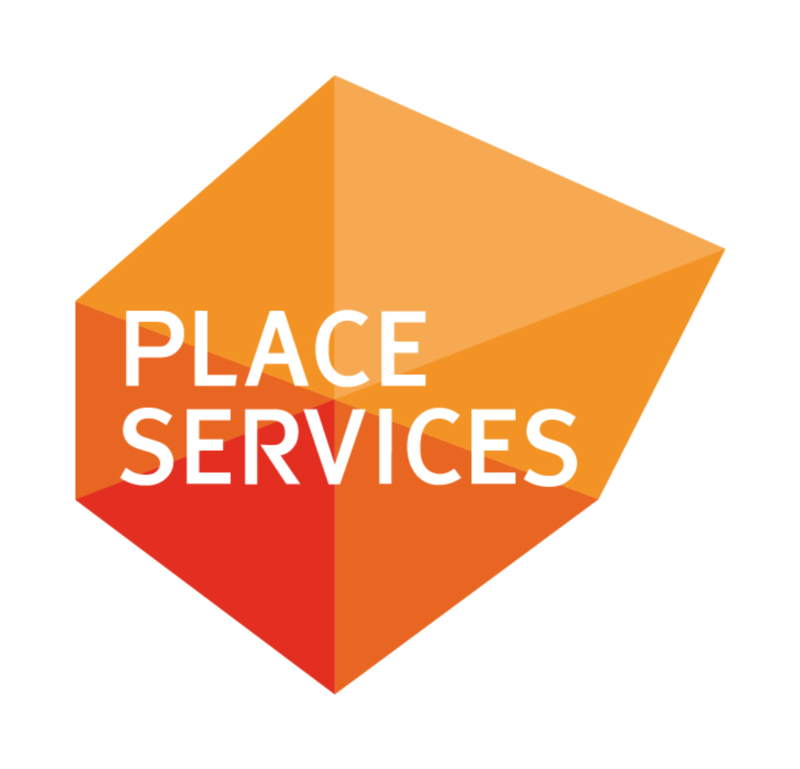 We design, manage, facilitate and deliver tailored training, education and events for a wide range of built environment and heritage organisations including Townscape Heritage Initiatives (THI's) and Conservation Area Regeneration Schemes (CARS). We deliver area and site based training – we come to you. Training is designed around the specific requirements of that locality, to avoid a standardised approach. 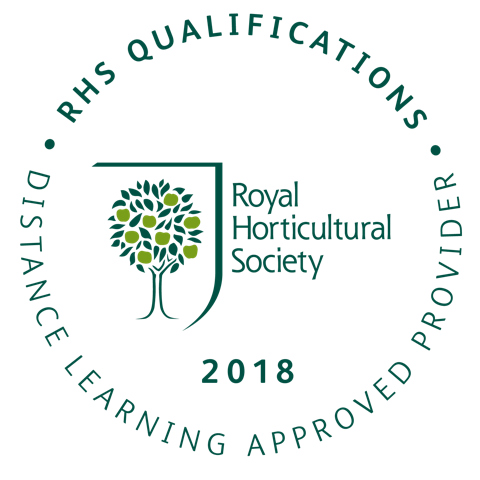 Ultimately, we are committed to providing high quality, relevant training, delivered by experienced and respected craftspeople and consultants, which is as enjoyable as it is informative. 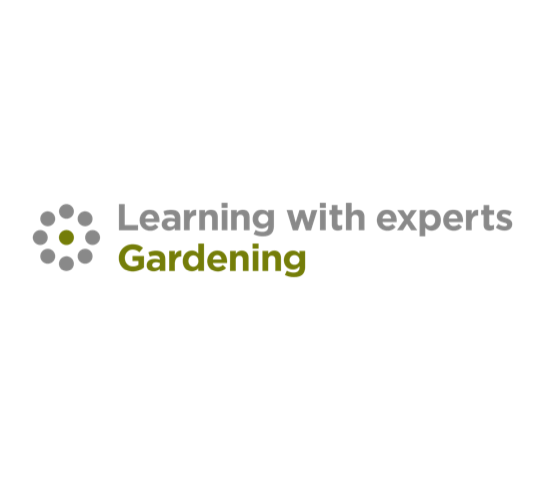 ‘Conservation of Historic Gardens’ is an online course, offered by Learning with Experts as 4 video tutorials. The course delivers both an outline and a deeper philosophical and practical approach to managing change in heritage landscapes. It teaches the philosophy of conservation, exploring the concepts of restoration, recreation and replicas. A full range of resources and techniques are discussed for researching sites, which is essential to understanding heritage context. Participants prepare a Statement of Significance, which defines why a heritage site is worthy of conservation, identifies its vulnerabilities, and underpins how it should be managed. Strategies are taught that support a sensitive and considered response to the many forms of change that threaten historic gardens. Each tutorial is accompanied by an assignment that participants complete with the support of the tutor, and with the opportunity to chat with fellow classmates through a virtual classroom. 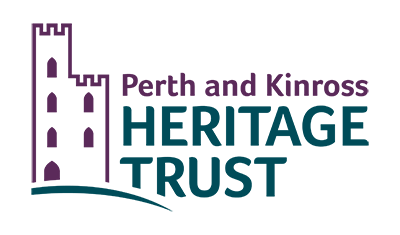 In partnership with Historic England the University of Leicester has developed a project to deliver practical, technical and specialist skills for heritage professionals to meet the skills gaps identified within the sector. We offer a series of training and CPD courses which will enhance your practical skills and address those key areas which will help you develop your knowledge and your career prospects as well as bridging the skills gaps within the sector. This programme has been launched as a response to one of the biggest challenges facing us today – rapid urbanisation and its impact on the environment and society. Cities themselves impact on global sustainability and can play a very influential role in tackling global environmental, social and economic problems. Creating sustainable cities is central to the future of society and the planet. The programme is directed at students and professionals from a range of fields who wish to enhance their understanding of sustainable processes and practices. The MSc is taught by a range of top theorists and practitioners working in the field of sustainable urbanism, including, Bill Dunster (founder of Zed Factory and designed of BEDZED), Prof. Yvonne Rydin, Dr Jo Williams, Dr Susan Moore and Prof Matthew Carmona. 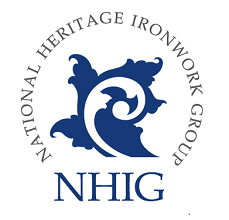 Aimed at professionals and craftspeople, this National Heritage Ironwork Group Continued Professional Development course is an introduction to the conservation of ironwork. Delegates will learn the basic principles of assessing historic ironwork in situ and make decisions about its care. Tender procedures often require the commissioner of the work to have knowledge of the medium in order to procure the best value. We are offering you this knowledge with lecturers designed to equip those wishing to commission work on listed ironwork, whether architects, surveyors or conservation professionals with information they will find essential in the writing of specifications. To book a place on this course please download our booking form and, once completed, return it to us with full payment. 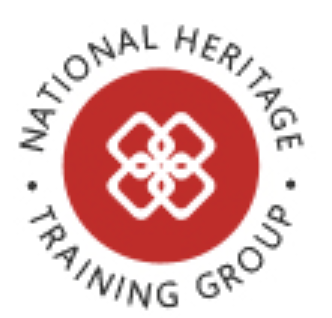 At the National Heritage Training Group we’re firmly committed to the benefits of education and training, both to help individuals reach their own potential and to help businesses gain the skilled, competent workers they need to operate safely, legally and profitably. To support these goals, we offer a wide range of different specialist courses aimed at everyone involved in the heritage building sector. From taster sessions and day courses right through to NVQs, foundation degrees and beyond, there’s a wealth of education and training we can either pay for, deliver ourselves or help you get access to. Sir Christopher Wren’s riverside masterpiece was built three hundred years ago as the Royal Hospital for Seamen, a refuge for injured and impoverished sailors of the Royal Navy. In 1998 the ORNC took over the management of the site with the aim to conserve it for present and future generations, and to provide full access including a year round programme of events and learning activities exploring the architecture and conservation on site. Oxford University Department for Continuing Education offers an annual programme of short courses for the historic environment sector. The programme is developed in partnership with leading heritage practices and sectoral representative organisations and is designed to address recognised skills gaps and key current and emerging issues. The programme is endorsed by the Chartered Institute for Archaeologists (CIfA), the Institute for Historic Building Conservation (IHBC), the Federation of Archaeological Managers and Employers (FAME), the Archaeology Training Forum (ATF). Participants receive a Certificate of Attendance on completion of courses for CPD purposes. All courses are held at OUDCE, Rewley House, 1 Wellington Square, Oxford OX1 2JA. Perth and Kinross Heritage Trust is a registered independent Scottish charity established in 1988. Our vision is a Perth and Kinross that values, embraces and enhances the economic, social and environmental benefits of its historic environment. Our emphasis is on a high quality approach, realising our vision and objectives through the development and delivery of projects, grants administration, information & advice provision, and a programme of outreach, learning & training activities. Supporting the sectoral skills base through delivering training is a key priority for the Trust and offering quality CPD is one way in which we are doing that. The Place Services Team at Essex County Council runs a series of short hands-on courses in traditional building skills to raise awareness of the importance of protecting our historic buildings by using the appropriate methods and materials to repair and conserve them. We also run a comprehensive range of CPD lecture sessions aimed at conservation professionals, surveyors, architects, building contractors, self-employed tradesmen, plus the owners of historic buildings, in the technical and practical issues involved in the care and repair of our historic buildings. 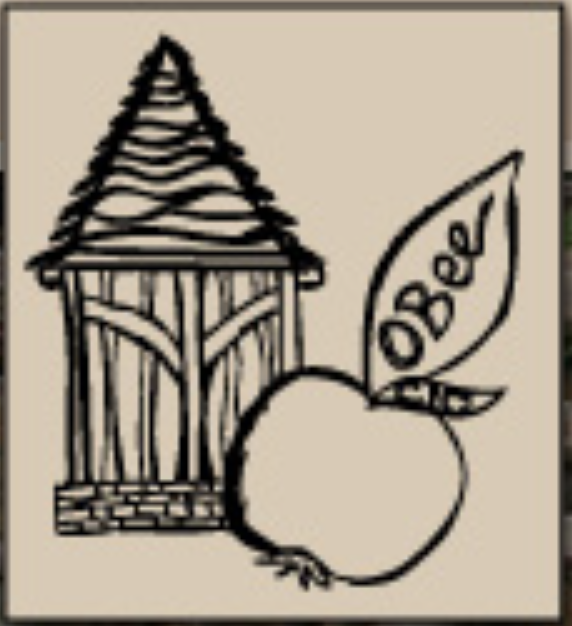 The lectures and many of our courses take place at Cressing Temple Barns in Essex, but where possible we use live sites throughout the county for our practical courses. RSK is a specialist environmental, health and safety consultancy delivering industry-leading services and guidance to its customers. The range of services we provide to our customers reflects the breadth of RSK expertise, and CPD sessions are designed to share that body of knowledge. Of special interest to IHBC members will be our programme of presentations covering the investigations of historic structures. We know that investigations of historic buildings may be required for a variety of reasons, but especially in advance of planned repairs or reconstruction. On-site condition surveys can be supported by material sampling and laboratory analysis to describe the condition of the existing building fabric, to characterise the materials used, and to identify any present and emergent degradation mechanisms. Our CPD sessions for historic structures will explain how scientific approaches to historic building investigations can inform sensible and effective preservation programmes. 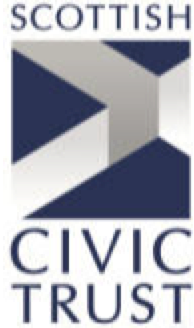 The Scottish Civic Trust is the national body for the civic movement in Scotland. It engages proactively with local civic groups across Scotland and regularly comments and campaigns for the improvement of Scotland's individual buildings and areas of distinction. The Trust seeks to encourage active interest in all aspects of the built historic environment. It liaises with many organisations, bodies and individuals in the pursuit of its objectives. It remains an important champion of Scotland's places. The Trust’s Local Heritage Management project aims to support local civic trusts and other bodies, organisations and individuals in developing a greater awareness and appreciation of Scotland's heritage though building their capacity to participate in the effective use of the built heritage resource, either in a regulatory context or in strategies for greater respect and understanding. The Scottish Lime Centre Trust has been providing specialist advice and training for the conservation and repair of Scotland's built heritage for nearly 25 years, since its inception in 1994. A centre of excellence for traditional building skills, the Scottish Lime Centre Trust offers a comprehensive training and education programme ranging from 1 day hands-on workshops to longer courses that can lead to the attainment of National Vocational Qualifications in Masonry Conservation. We also offer bespoke training solutions for the construction industry, with ‘onsite’ training becoming more popular as learning is carried out with minimal downtime. All IHBC members receive 20% discount on all of our courses. The MA in Conservation and Regeneration specialises in the theory and practice of building conservation and conservation-led urban regeneration. Designed for students from a variety of academic and professional backgrounds, the programme takes an interdisciplinary approach, drawing on expertise in historic built environments, urban history and theory, contextual design approaches and community engagement to explore the relationship between building conservation practice and urban regeneration. Building conservation practice can broadly be described as the development of socially and environmentally sustainable design within the historic built environment which responds to and respects its immediate surroundings and which values memory, identity and continuity with the past. Growing recognition of the social, cultural and financial asset of existing buildings and spaces has placed built heritage issues high on national government policy agendas and conservation principles figure prominently in the successful physical and economic regeneration of the built environment. The programme addresses a national and international need for skilled practitioners who are able to steward built heritage and to mediate between the numerous stakeholders in the historic built environment. It aims to develop skilled and knowledgeable professionals who can engage with a range of historic and contemporary design approaches and who are able to effectively evaluate and manage change within the historic and built environment of the 21st century. Sheffield School of Architecture´s intellectual ethos builds strongly on social and environmental responsibilities in relation to the design and production of the built environment, and designing with an understanding of context (both physical and social) is an important consideration. The MA in Conservation and Regeneration invites students to understand architectural conservation and regeneration in its widest context and to consider the social, the cultural, the economic and the political. Students are encouraged to explore and develop their own approach in practice through seminar discussions, independent study and conservation studio project work. The programme has been developed with reference to the Institute of Historic Building Conservation Areas of Competence and we are currently seeking IHBC course recognition. 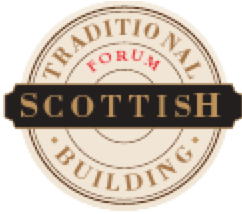 The Scottish Traditional Building Forum is made up of a network of local traditional building forums with representatives across the supply chain in Scotland. The forums have local representation who work together to raise the profile of specific issues relating to traditional buildings and building practices and work together to address these. 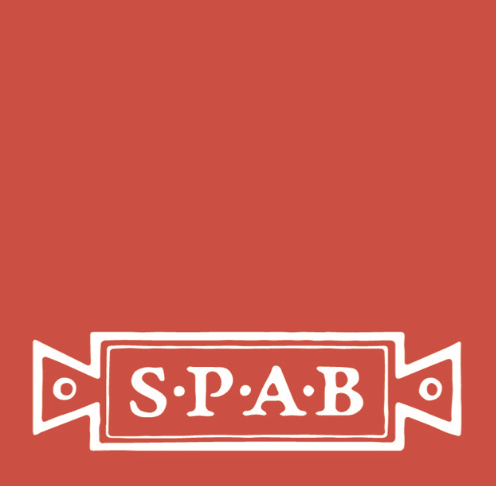 The SPAB aims to assist building conservation professionals by providing training schemes, courses and CPD training events. We run a series of courses throughout the year, including technical seminars, hands-on masterclasses, and our renowned Repair of Old Buildings Course, which has been run since the 1950s and welcomes architects, surveyors, planners, buildings archaeologists, structural engineers, conservation officers, builders, craftspeople and other building conservation professionals. This intensive five day course of lectures and visits is held in the spring and autumn of each year. The course focuses on developing the unique business and management skills required for practitioners in the industry. It has a strong element of practical work based learning opportunities and projects provided by relevant organisations from the public, private and not for profit heritage sectors. Most importantly, the course has been designed so that it can be accessed flexibly around employment or other commitments. It is delivered in study blocks, enabling students nationally and internationally to access individual modules spread through the year, by attending concentrated taught sessions and engaging with online tutorial support for ongoing discussion and assessment completion. Individual modules can also be taken by students who want to enhance their business skills via continuing professional development. The course leader can advise students on options available, module delivery dates and structure. The Traditional Building Skills Company is a rural business providing training for the heritage construction industry. Various studies have shown that most building contractors working on pre-1919 building sin the UK, do not possess the necessary knowledge, skills and experience. This leads to inappropriate work and materials being used, much to the detriment of those properties. We are dedicated to providing high quality heritage skills training and have teamed up with national organisations such as The Stone Federation, The Institute of Carpenters and the National Heritage Training Group to deliver these programmes. The Traditional Paint Forum is interested in the influences, personalities and circumstances that gave rise to particular decorative schemes in an architectural context. Very importantly, we also believe the only way informed judgements can be made about the significance and future of existing or lost schemes is to also understand what materials were used to create them and how they were executed. The ‘why’ is not the whole story …’how’ can be just as vital! 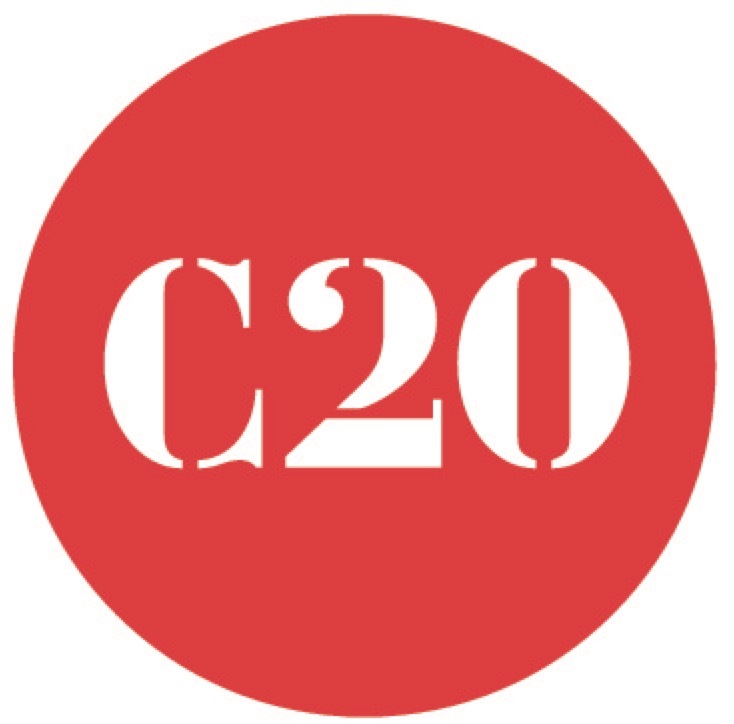 The Twentieth Century Society provides educational events and training as part of its remit to conserve and increase knowledge and understanding of buildings and design from 1914 onwards. These include lectures, workshops and conferences and encompass heritage and conservation issues. Training and events are delivered by experienced architectural historians, conservation experts and architects. The MSc Building Conservation is fully recognised by the Institute of Historic Building Conservation (IHBC), and successful completion of the MSc reduces the requirement for relevant experience for those seeking full membership of the IHBC from five years to two years. Welsh Centre for Traditional & Ecological Building - Ty Mawr Lime Ltd.
Run a series of one day courses and on-site training days on all aspects of the use of lime, some accredited by the University of Wales. Course tutors are highly regarded in in both the fields of historic building conservation and lime technology. The English Heritage-validated programme of three-day Building Conservation Masterclasses (BCMs) at West Dean provides training in technical and practical skills in the repair and maintenance of historic structures. These intensive short courses have been designed by, and are delivered by, leading practitioners in the field of building conservation. The unique ruinette – on which students can practise conservation and repair techniques – is a purpose-built structure exhibiting many of the problems found on historic buildings. This is awarded in recognition of the successful completion of 10 of the BCMs and the submission of a final 3,000 word essay. Conservation courses which bring together both the understanding of the process of looking after our built heritage and the application of the necessary skills, in an interactive learning environment. Our one-year MA in Conservation Studies course, founded in 1972, is a recognised leader for conservation training in the English-speaking world. The course, which is multi-disciplinary and international in scope, is aimed at mid-career professionals who have a good first degree or equivalent in a professional discipline relating to architectural conservation, with a minimum of two years’ practical experience in a related field. The programme starts in late September/early October, concurrent with each new academic year – places are limited to ensure a constructive atmosphere for discussions. 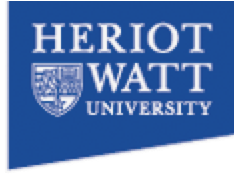 This is a two-year, part-time, postgraduate-level programme delivered wholly online in a fully-supported learning environment. Students can exit with a Postgraduate Certificate after successful completion of the first year if their circumstances change.